DANVILLE, Calif. (KGO) -- San Ramon Valley Fire Protection District put down a 30 acre vegetation fire on the hills to the south of Sycamore Valley Park, near Alta Vista Way in Danville. 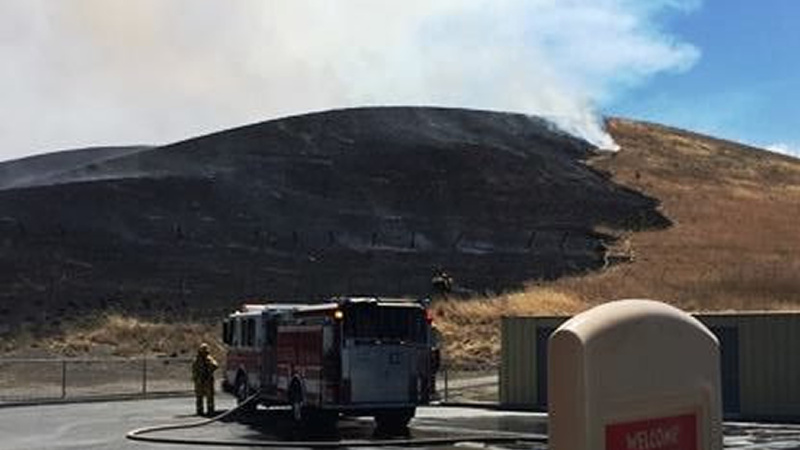 The fire was reported in the area of 2200 Holbrook Drive, near Sycamore Valley Elementary School, at about 11:15 a.m., according to Cal Fire. No structures were threatened and no one was injured by the fire. The City of Danville and fire officials worked together to assess the scene. Residents should avoid Sycamore Valley Park until crews clear the area.